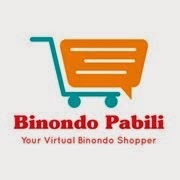 The Binondo Mommy: Happy Mooncake Festival! Last Wednesday marks the end of the Ghost Month for 2013 which means starting Thursday, people already resumed with their normal activities. Ghost month is the 7th lunar month in the traditional Chinese calendar. It is believed to be an inauspicious month when all important or major activities are suspended and this includes but not limited to wedding preparations, house constructions, etc. That is also the reason why business is at its lowest especially restaurants because no big parties were being held for the whole month. The ghost month this year started Aug. 7 until Sept. 4, 2013. I actually love the month of August because aside from having many holidays, it's my birth month! But sadly, so many bad news transpired: there was the Cebu ship incident, the Typhoon Maring, and the Million People March. I won't tackle them any further as I'm not really into current events. Anyway, I just noticed that all of those happened during the ghost month. But don't worry, 8th lunar month or the season of mooncake is here. I love it because aside from eating mooncakes, it also comes with the tradition of playing of dice games. And because this month is considered as auspicious month, it's also the best time to hold weddings and birthday parties. My September is full of parties, three weddings and one birthday party to be exact. Yipee I'm so excited! 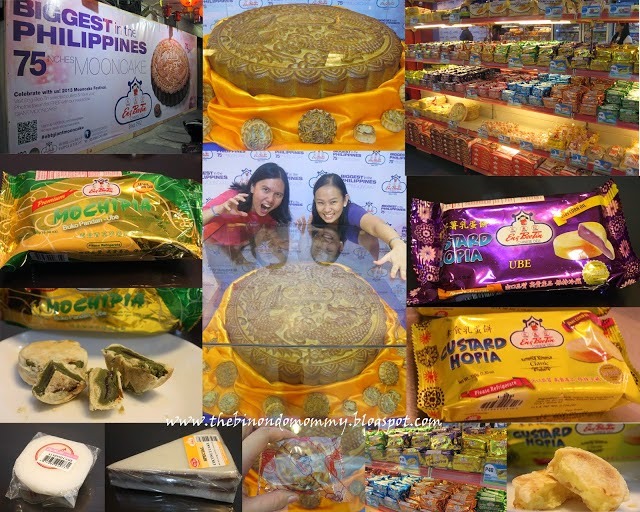 And speaking of mooncake, have you seen the biggest mooncake in the Philippines? The size is 75 inches circumference, 24 inches diameter and 3 inches thick. It's real and 100% edible. It is currently housed inside Eng Bee Tin Ongpin branch just beside Binondo Church. They are famous for their hopia, available in various flavors. Aside from hopia, they also sell other Chinese delicacies, sweets, breads and pastries. Just a side note on their other product lines. My friend highly recommended me to try their Custard Hopia (P48) because it's soft and somewhat melts in your mouth just like leche flan. It's different from regular Hopia because Custard Hopia needs to be refrigerated. I have also tried their Mochipia because I got curious with the coined word for Mochi and Hopia. I loved it because I can feel the chewy mochi inside the hopia. Then I also bought their Almond Cake (P9.00) and Coconut Cake (P13.00) as these two reminds me of my dad who used to buy them for us when we were still small. Please refer to the photos below. Eng Bee Tin delicacies. Biggest Mooncake was there since Aug. 23 and will sit there until Sept. 30, 2013. Did you know that the owner of Eng Bee Tin is also a fire fighter? His name is Mr. Gerry Chua. He even made a coffee shop for the firemen, named Café Mezzanine. It's just a few steps from Eng Bee Tin Ongpin. The place is quiet, peaceful, a wifi zone, and a feel-good hang-out place because when you order, you also help the fire volunteers. At Café Mezzanine. Photo op with Mr. Gerry Chua, the owner of all things purple in Binondo, also known as Mr. Ube. They also give out a complimentary DVD on Fire Safety Tips and CPR Tips to remind the household on what to do in times of emergencies. The DVD also includes their history and other video clips related to their company. They also offer text messaging services known as TXT FIRE where you can receive UBE News for free when you register on the number (see the lowest portion of my photo collage) above. You can also easily report a fire through that number. 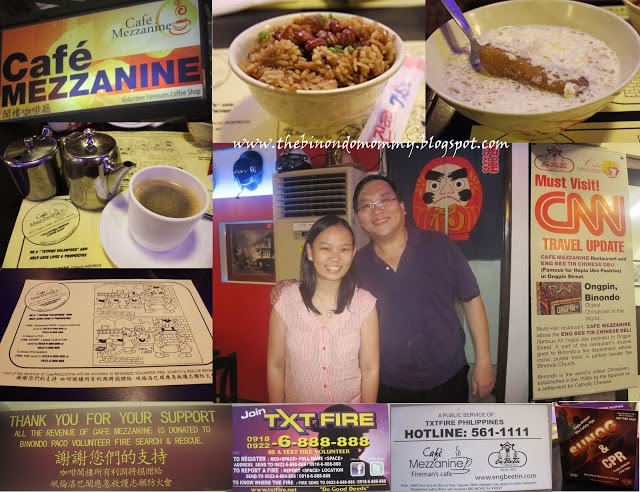 Aside from Eng Bee Tin Chinese Deli and Café Mezzanine, they also own Chuan Kee and Mr. Ube Rice and Noodle House, all located along the famous Ongpin Street. So if you love all things ube, come and visit them here in Binondo! Happy Mooncake or Mid-Autumn Festival! September 19 is the actual Moon Cake Day! See you around!